You can do a lot with a Divine Class. Your spell list might skew you towards support at first blush, with some of the more powerful heals in the game falling under your pureview. But you can do the opposite of heal real well–nothing like a good Harm or Bane to make your enemies regret getting out of bed in the morning. 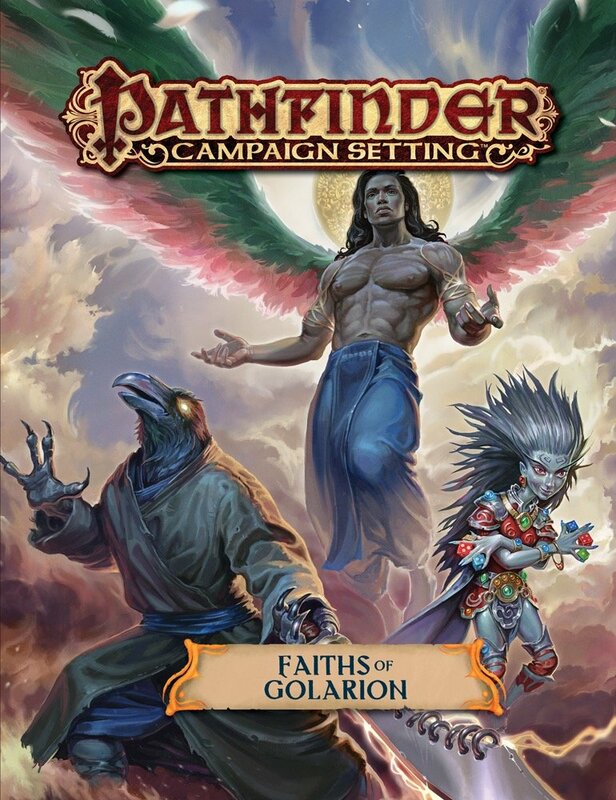 The new Faiths of Golarion sourcebook is looking to expand your options, both for players and for gods. Get a look at the gods of Tian Xia or the far flung corners of Golarion. And if you’re looking for more than lore, you’ll find new Obediences and Boons–rewards for faithful characters who actually adhere to the dogma of their deity instead of whatever murderhobo justification you have for collapsing the mineshaft on the Dragon, sure, but also sealing an entire kingdom of Dwarves inside the mountain forever.